Offering a Balkan adventure like no other, Bulgaria is one of the most fascinating places to explore and is becoming an increasingly popular travel destination. Rightly so, as the country is filled with pristine coastlines, towering mountains, never-ending waterfalls, and a generally lush nature that is extremely inviting. Here are the best things to do in Bulgaria. Said to be the only entirely preserved medieval castle in the country, the construction of Baba Vida goes back to the 10th century. At one point, the fortress was Vidin's main and most important defensive aspect during the Middle Ages. It was destroyed during a siege by Byzantine forces and re-erected during Ivan Stratsimir's rule. Visitors no longer have to worry about Baba Vida being conquered as it now houses a museum dedicated to its legendary history. The museum-fortress experience is a fun-filled one that the entire family will enjoy as it takes visitors back in time. 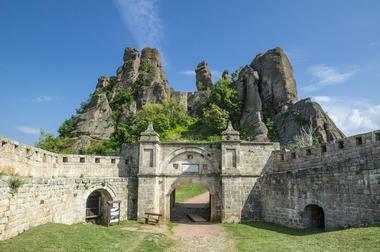 Popularly known as "Kaleto," the Belogradchik Fortress can be found on the slopes of the Balkan Mountains. The historical and cultural attraction draws tourists from around the world as it is one of the best-preserved strongholds in Bulgaria. The fortress, which is built into the rocks that surround it, was initially constructed at a time when the land was a part of the Roman Empire. Visitors can explore the nationally renowned structure and better understand the architectural marvels that are found within its construction. 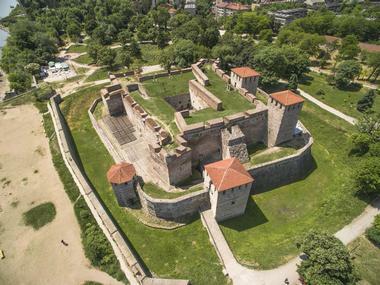 Other visitors will appreciate the fortress' history more as the fortress was captured by the Ottomans in the 1300s and played a role during the Serbo-Bulgarian War in 1885. 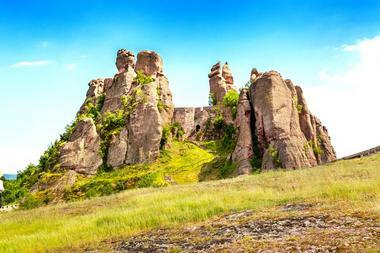 A delightful natural phenomenon, the Belogradchik Rocks are a group of rock formations created by sandstone and conglomerate rock. The formations are a declared Natural Landmark and range in color from red to yellow. The shapes of the rock are extremely unique and were naturally carved from winds and dripping rainwater over a course of 200 years. Many visitors feel that the rocks are shaped like human silhouettes, birds, animals, and other mythical creatures. Visitors can even talk to guides or locals to learn the interesting legends the rocks are associated with, such as a beautiful nun who was exiled or a schoolgirl who turned to stone. 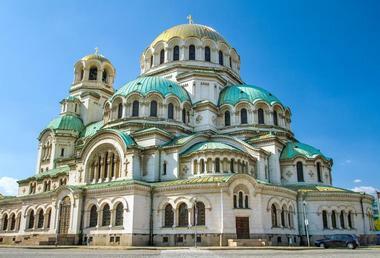 The Alexander Nevsky Cathedral is a Bulgarian Orthodox cathedral that serves as the cathedral church of the Patriarch of Bulgaria. It is one of the largest Eastern Orthodox cathedrals in the world and the second largest cathedral on the Balkan Peninsula. 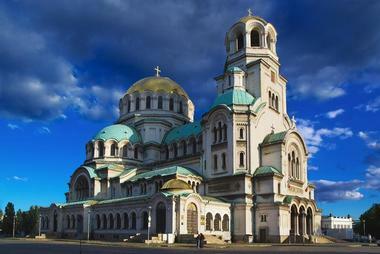 The cathedral is a popular landmark in Bulgaria and the neo-Byzantine style architecture is world renowned. There is a 148-foot-high gold-plated dome, a bell tower, and 12 bells in the cathedral. 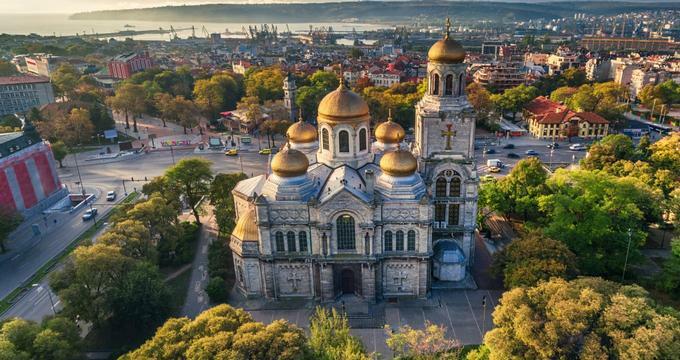 Inside, visitors will find one of the largest collections of Orthodox icons in Europe; there is even a dedicated museum inside the cathedral crypt that is a part of the National Art Gallery. 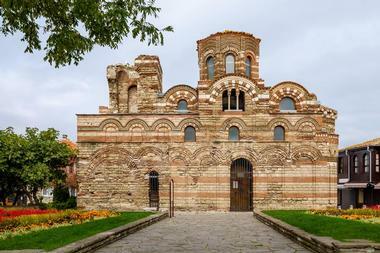 A UNESCO World Heritage Site, Boyana Church was completed in the early 11th century as a medieval Bulgarian Orthodox church. What makes the church unique and a must-visit spot for those in Bulgaria are the frescoes - 240 human images in 89 scenes depicted on the walls of the church. The frescoes visitors see today form a second layer painted over the original in 1259. The paintings draw visitors from all over the world, and rightly so as they are one of the most well-preserved monuments of medieval art in the Balkans. Some aspects of the frescoes that shouldn't be missed include the paintings of Christ among the scribes, Pantocrator, Konstantin Tih of Bulgaria and Eirene of Nicaea, and St. Nicholas. Located near the border with Greece, the Devil's Throat Cave is a popular tourist attraction. The spectacular cave resembles a Devil's head, making it seem as if the waterfall inside is rushing down its throat. 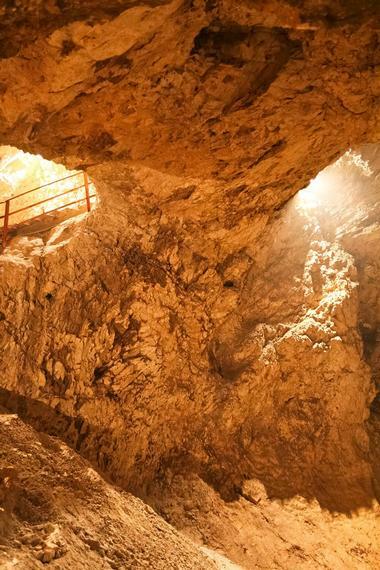 Visitors can explore the cave with a tour guide, who will take visitors up the manmade staircases and to the galleries leading up to the waterfall. From above, visitors can see the water descend 137 feet into the second largest cavern in the country, known as the Hall of Thunder. The cave has fascinated many as it is a geological wonder that has raised many unanswered questions. 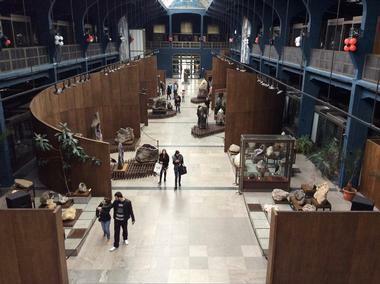 The Earth and Man National Museum opened in 1987 in Bulgaria's capital and soon grew to be one of the biggest mineralogical museums in the world. The museum has a number of exhibition halls dedicated to mineral diversity alongside laboratories, stock premises, a video room, and a conference room. Visitors can see over 40% of all known naturally occurring minerals at the museum. Among displays on amethyst geode, quartz, and rose quartz, visitors will also see exhibitions with petrified trees, large paintings, and ceramics that have been made with minerals. The museum also hosts chamber music concerts and others throughout the year for visitors to enjoy. 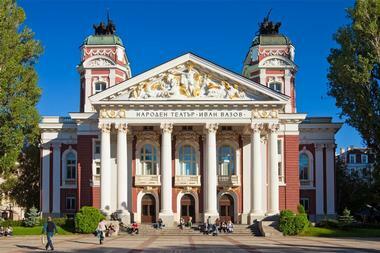 The Ivan Vazov National Theatre is Bulgaria's national theater; it is also the country's most authoritative and oldest theater. 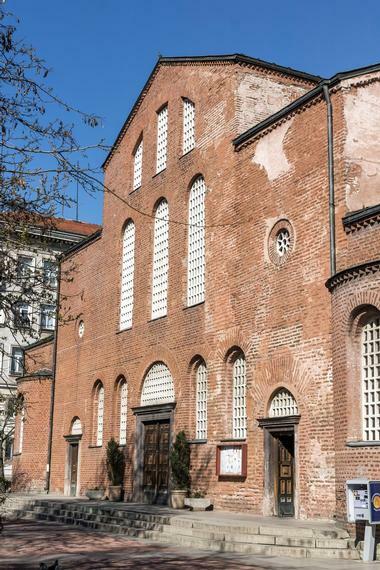 The theater was founded in 1904 by the Salza i Smyah company and established in the neoclassical building designed by famed theater architects Ferdinand Fellner and Hermann Helmer. Visitors can head to the theater any day of the year and explore the building's stunning architecture and interior decor. If they plan in advance, visitors can also watch one of the many productions on the theater's well-equipped main stage. 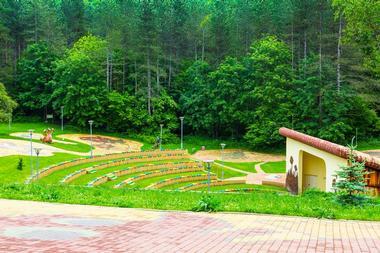 Notable theater directors such as internationally successful Alexander Morfov, who is also the chief director of the theater, have had their productions played here. 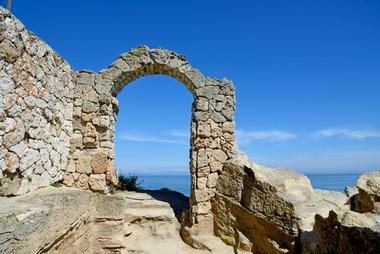 Kaliakra is a nature reserve that can be found beside the Bulgarian Black Sea coast. The narrow headland has cliffs that are over 70 meters high, where visitors can explore the remnants of a medieval capital, the Despotate of Dobrotitsa. The fortification is an exciting place to spend the day and visitors can see the main residence, the fortified walls, the water main, and the baths of the short-lived capital. There's many species of flora and fauna at Kaliakra and lucky visitors can sometimes see dolphins off its coast; ornithology aficionados will also be able to see many rare migrant birds, which make the coastline their home during the spring. Ledenika is a glacial cave that can be found within the Balkan Mountains. The cave was discovered in the early 20th century and has been a popular tourist attraction since the 1960s. Visitors can explore the limestone formations, which have been dated back to the Pliocene era, as well as the impressive stalagmites and stalactites. The formations create ten separate halls visitors can walk through within the 300-meter-long cave. Some of the most remarkable include the Concert Hall, the White Hall, and the largest gallery, known as the Great Temple, which has a ceiling over 50 feet high. 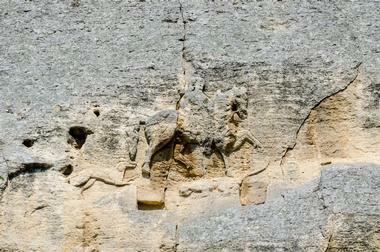 Madara Rider is a large medieval rock relief carved on the Madara Plateau that dates back to the late 7th century. The UNESCO World Heritage Site came to be during the reign of Bulgar Khan Tervel, the Khan of Bulgaria during the First Bulgarian Empire; it depicts a majestic 75-foot horseman who is thrusting a spear into a lion. Though the site is still a very popular attraction, the details of the relief are now unrecognizable due to erosion. Visitors can learn about the story behind the Madara Rider from guides who love to explain the legend as well as the inscriptions that are carved into the rock beside it. 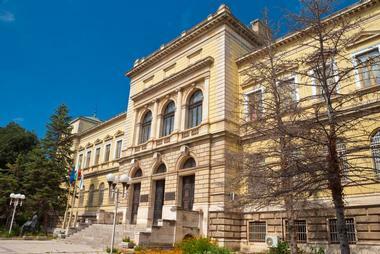 Established in 1892, Bulgaria's National Archaeological Museum can be found in Bulgaria's capital, Sofia. 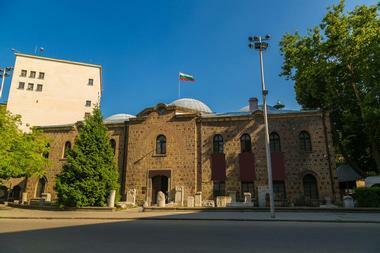 The museum and research institute has been housed in one of Sofia's oldest and largest former Ottoman mosques since 1905. There are five exhibition halls for visitors to explore: The Central Hall, Prehistory, Middle Ages, Treasure, and a temporary exhibition that is constantly changing to something new and exciting. Visitors can see many artifacts, with some going as far back as 1,600,000 BC, such as tools, pottery, ritual items, and much more. There are many interesting things that visitors of all ages would appreciate, but one that shouldn't be missed is a copy of the Madara Horseman over the central staircase. 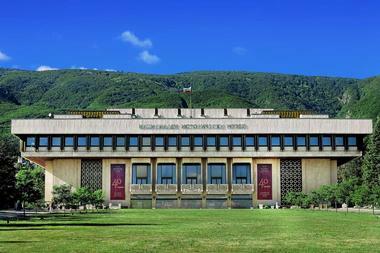 The National Historical Museum was established in 1973 and soon grew to be Bulgaria's largest museum. Visitors will find the museum in the former primary residence of Todor Zhivkov, the country's last communist leader. There are over 650,000 artifacts in the museum, ranging from history and ethnography to archaeology and fine arts. Visitors can explore the traditional costumes, weapons, furniture, art, and other pieces housed at the museum. Younger visitors can head to the Children's Center and participate in one of the museum's many educational and entertaining programs that focus on Bulgaria's historical and cultural heritage. An arm of the Ministry of Defense, the National Museum of Military History dedicates itself to Bulgaria's interesting military past. Many of the exhibits are outdoors and include a mammoth assortment of artillery, missiles, military vehicles, tanks, and aircraft. The exhibitions are broken down by events such as the Russo-Turkish War of Liberation or Declaring the Independence of Bulgaria. 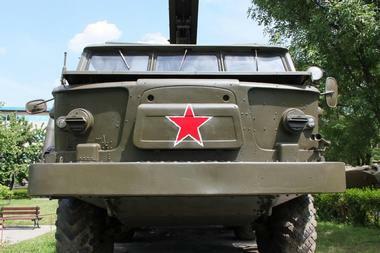 Visitors will not only enjoy the extensive outdoor structures and models, but will also come across a collection of decorations, uniforms, weapons, and artworks relative to Bulgaria's military history. Visitors can participate in one of the museum's educational workshops; the museum caters to their younger audience by having a separate children's museum, which introduces Bulgaria's military history in a fun and entertaining way. Nesebar is an ancient town on Bulgaria's Black Sea coast that has such a rich history and is filled with so many historic buildings that it has been identified as a UNESCO World Heritage Site. 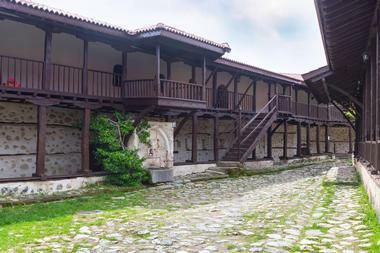 The Nesebar Archaeological Museum invites visitors to get a better understanding of the town's rich past. The museum was founded in 1956 and has four exhibition halls filled with items such as ancient stone anchors that date back to the 12th century BC, silver coin treasure, sculptures, marble votive tablets, jewelry, pottery, and much more. Visitors will enjoy seeing the items in the museum more with a guide as it will give them a bit more insight into the pasts. 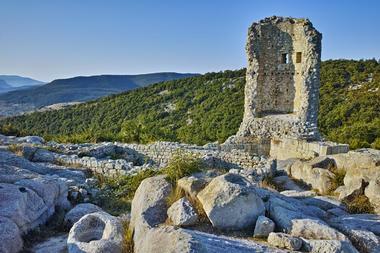 Perperikon is an ancient Thracian city in Kardzhali, Bulgaria. The ruins can be found atop a rocky hill in a supposedly sacred place - legend has it that the famed Temple of Dionysius was located here. It houses the largest megalith ensemble in the Balkans and sits by the gold-bearing Perpereshka River. Visitors will be able to see many aspects of Perperikon's ruined fortress, including a multistory palace, temples, and residential quarters. Visitors at Perperikon will be able to see a church pulpit that was built in the late 4th century and thought to be the first of its kind in Bulgaria; the pulpit is decorated with stone-carved ornaments and inscriptions. Commonly known as the Stone Desert, Pobiti Kamani is often considered a desert-like rock phenomenon. Comprising sand dunes, groups of natural rock, and stone columns, the desert is the only one of its kind in Bulgaria and one of few in all of Europe, making it an extremely popular tourist destination. The stone column formations visitors will see are between 5 and 7 meters high and range anywhere from 0.3 to 3 meters thick. What makes them truly unique is that the columns are not solid, but rather hollow and filled with sand. 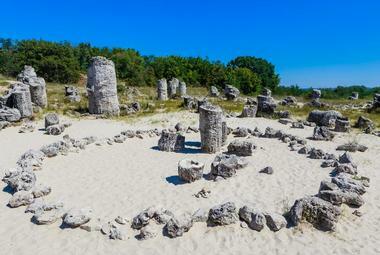 Visitors will enjoy exploring the Stone Desert and its many aspects during a trip to Bulgaria. 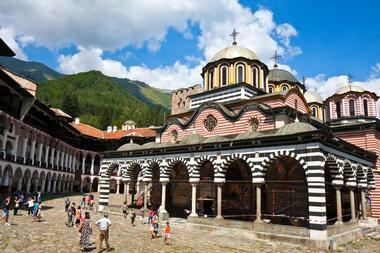 The Monastery of Saint Ivan of Rila, commonly called the Rila Monastery, can be visited inside the Rila Mountains which are inside Rila Monastery Nature Park. It is the largest and most famed Eastern Orthodox monastery in the country and currently houses around 60 monks. 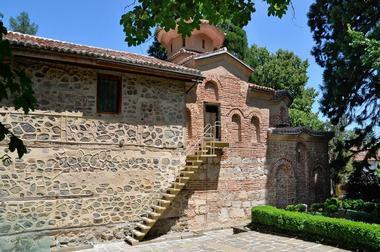 The monastery is named after its founder, Saint John of Rila, who was the first Bulgarian hermit. Visitors can explore the monastery's unique environment and architecture, which includes a main church, residential quarters, and a monastery museum. As one of the country's most important historical and cultural monuments, visitors will learn and see a lot at this UNESCO World Heritage Site, especially the beauty of the frescoes that grace the monastery's ceilings and walls. A UNESCO World Heritage Site, the Rock-hewn Churches of Ivanovo are a cluster of monasteries, chapels, and monolithic churches that are carved out of rock. Located inside Rusenski Lom Nature Park, visitors will be able to see the beautiful structure, which was built by monks who inhabited the caves from the 1220s to the 17th century. There are five churches on the rock premises that visitors can explore; one of the most popular reasons visitors come from all over the world are the well-preserved frescoes, which can be seen within the churches. 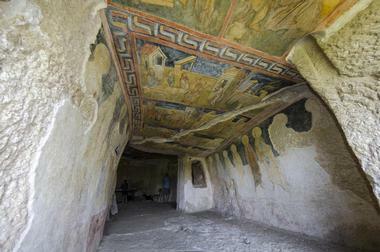 The frescoes go back to the 13th and 14th centuries and are prime examples of Bulgarian medieval art. The Rozhen Monastery of the Nativity of the Mother of God is one of the biggest and one of the most well-preserved medieval Bulgarian monasteries. During archaeological digs at the site, many items from Bulgaria's medieval times were unearthed, including coins and decorations from the 1200s. Visitors can explore the stunning site and take in the beautiful frescoes on the exterior walls as well as in the monastery. Other aspects of the Rozhen Monastery that visitors shouldn't miss include the unique wood-carved altars and the collection of highly valued icons. Surrounding the monastery, visitors will find beautiful natural structures including sand pyramids and uniquely shaped eroded rock. The second oldest church in Bulgaria's capital, Sofia, the Saint Sofia Church dates all the way back to the 6th century. It was actually because of the church that the city changed its name to Sofia; it was called Sredets prior to that. Visitors will be able to explore the beautiful church, which is built in Byzantine style on the site of former places of worship. What visitors see today is the fifth structure to be built here and includes two east towers and a one tower cupola. The floor is covered in mosaics, while icons of historical saints can be found within the basilica. The stunning marvel pays homage to Bulgaria's architecture of that age and is a site that visitors will enjoy. The Srebarna Nature Reserve comprises some of Bulgaria's most stunning flora and fauna. The reserve is home to Lake Srebarna and is a picturesque site that allows visitors to capture Bulgaria's natural beauty. Visitors can go one-day safaris of the nature reserve and get up close and personal with the plants and animals, many of which are unique to the country. Ornithology aficionados will love visiting the nature reserve as it is a part of the Via Pontica bird migration route from Europe to Africa; this location allows visitors to see birds that are otherwise extremely difficult to see in Bulgaria. Some of the bird species that nest in the reserve that visitors will most likely come across include herons, the mute swan, and the Dalmatian pelican. The Varna Archaeological Museum was founded in 1888 and is now one of the largest museums in Bulgaria. There are hundreds of thousands of objects displayed in the exhibition area for visitors to see, most of which date back to prehistoric, Thracian, ancient Greek, and ancient Roman periods of Bulgaria's history. One of the most popular exhibitions attracting visitors from around the world is the Gold of Varna. Visitors at the museum will be able to see the oldest gold treasure in the world, dating back to 4600-4200 BCE. Other aspects of the museum include a children's study museum, a library, a gift shop, and a cafeteria. Summer visitors might be able to catch the Varna Summer International Jazz Festival, which is hosted by the museum annually. 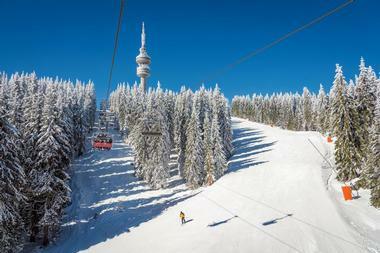 Offering an array of activities throughout the year, Pamporovo is mostly popular during the winter when the ski resort in southern Bulgaria truly comes alive. The family-friendly resort is great for everyone, from beginners to experts, and is set amongst a visually stunning Norway spruce forest. Visitors can relax and enjoy the weather and scenery at one of the many hotels and bars found in Pamporovo or try their hand at snowboarding or skiing. There are over 55 kilometers of ski-runs at the resort and visitors can take a crash course with one of the many qualified, multi-lingual ski instructors that are there.